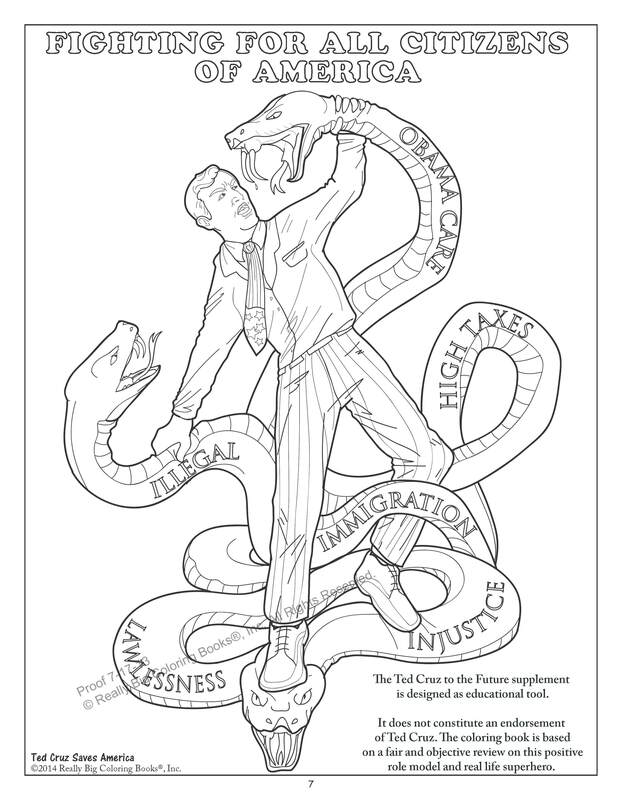 The Ted Cruz to the Future Coloring and Activity Book is back by popular demand. 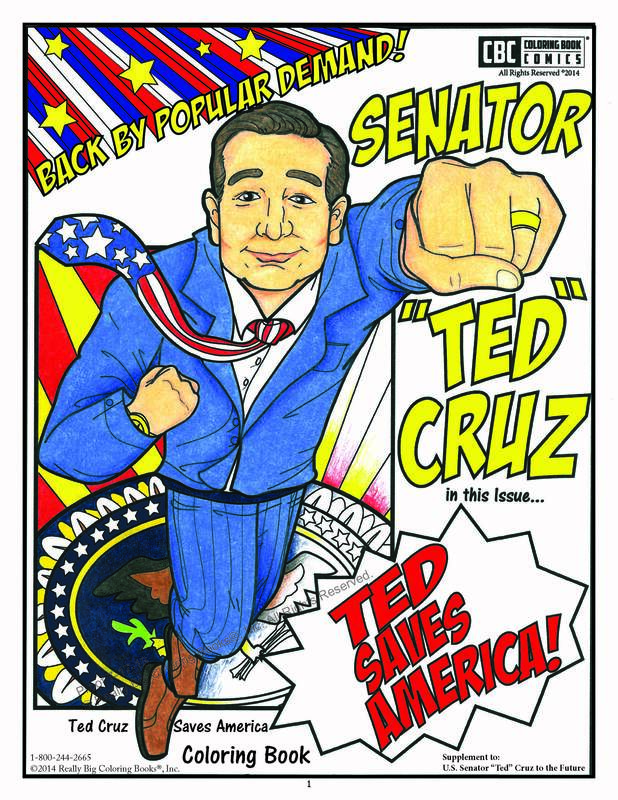 Really Big Coloring Books ® is releasing Ted Saves America as a supplement to the Ted Cruz book. The additional eight (8) page supplement is complimentary with the purchase of the Ted Cruz book, the #1 selling coloring book. Releasing the book and supplement on Veterans' Day corresponds with 2nd Amendment values. "The supplement and book are fact based, fair and objective, about a man who millions of American citizens consider a real life true to heart super hero for children to look up to," states Publisher Wayne Bell. "Ted Cruz is history in the making." Many requests from the public in part led the coloring book company to develop the supplement and reissue this Cruz coloring and activity book. “The public wanted more,” states Bell. 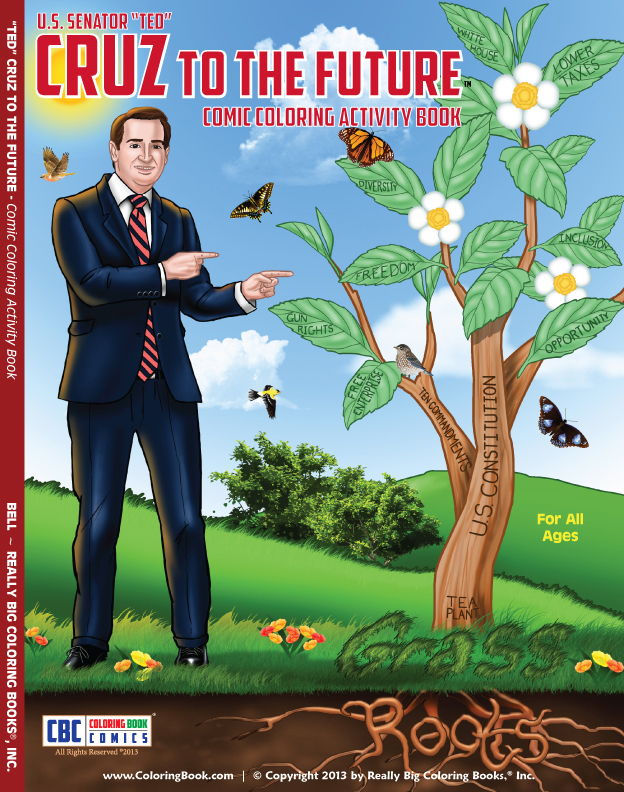 The supplement is included at no additional charge with the purchase of the Ted Cruz to the Future coloring book, a high print quality 34 page book that sells for $5.99 with wholesale discounts available for corporate and community organizations. 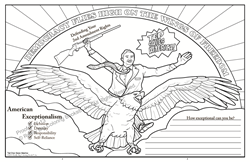 The supplement includes scenes of Ted Cruz’s journey for the American dream; his continuing fight for the rights of American citizens as he rides the wings of freedom. 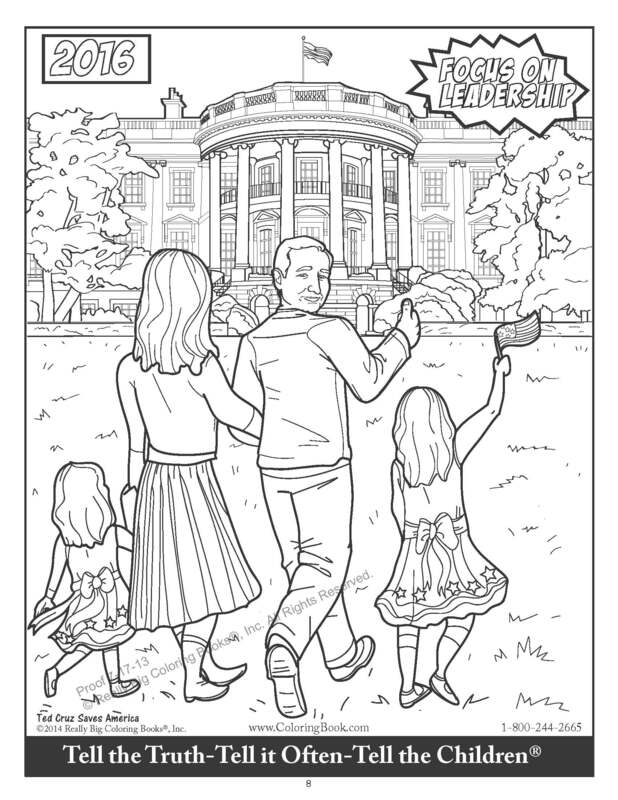 The supplement concludes with Ted and his family strolling on the White House lawn. Really Big Coloring Books®, Inc., headquartered in St. Louis, MO, is a multi-national company providing quality children’s teaching and learning tools and coloring book products for over two decades. Known for their market leading positions their family of products are classic, colorful and unique. The company owns nearly 1,100 coloring book related domain names in several countries and is considered a trend-setting leader in the coloring book industry. Their products are 100% manufactured in the U.S.A. To find out more call 314-725-1452 or visit: http://www.coloringbook.com .